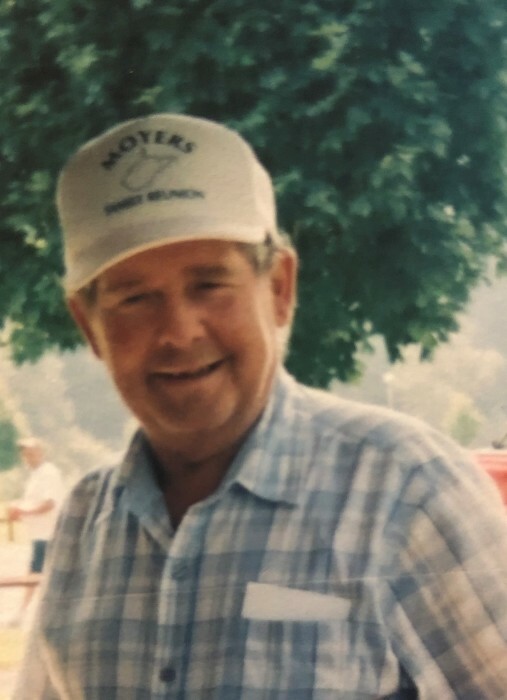 Alvin "Alvie" Randall Moyers, age 69, of Petersburg, WV passed away Tuesday, April 2, 2019. He was born December 2, 1949 in Petersburg, WV and was a son of the late Arnold Grant Moyers and Mernie (Reed) Moyers. In addition to his parents, Alvin was preceded in death by his wife, Shirley Mae (Caplinger) Moyers in 2004; brother, Johnny L. Moyers and sister-in-law, Linda Moyers. Alvin is survived by two sisters, Bernadine Moyers and Louisa Pennington both of Cabins, WV; three brothers, Robert Moyers of Maysville, WV and Daniel Moyers of Scherr, WV, Charlies Reed of Harrisonburg, VA; two step daughters, Debra Kile of Maysville, WV and Yvonne Tristan of Petersburg, WV; one step son, Clayton Laub of Petersburg, WV; three step grandchildren; and numerous nieces and nephews. Alvin was employed at Golden Lanes in Petersburg, WV for several years. Funeral service will begin at 11 AM Thursday, April 4, 2019 at the Schaeffer Funeral Home with the Rev. Johnny Goldizen officiating. Family will receive friends one hour prior to funeral service. Burial will follow in the Whetzel Family Cemetery, South Fork, WV on Dumpling Run Road. Memorials may be made to the family, c/o Schaeffer Funeral Home in Petersburg, WV.